This time of year, I just want to bake all the pumpkin things! 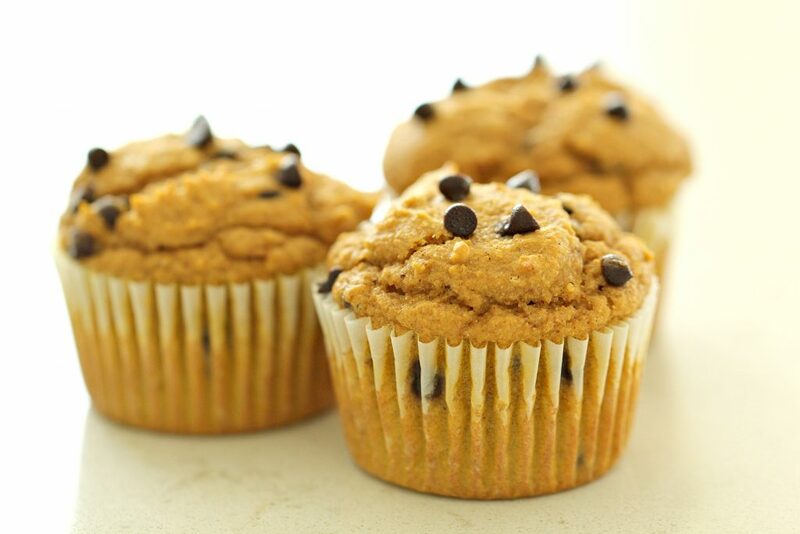 This is a healthier version of one of my favorites: pumpkin muffins. Just a few easy swaps make these a little more healthy without sacrificing flavor. This recipe is one that you will find in our Weekly Healthy Menu Plan – if you are looking for an easy way to feed your family some healthier recipes, you’ll want to check it out! Preheat oven to 350 degrees. Place muffin liners in muffin tins. In a large bowl, mix all ingredients together until batter is smooth. Scoop into muffin cups 3/4 full with batter. Bake for 18-22 minutes or until toothpick placed in the center of one of the muffins comes out clean.